Though it can be major time and financial commitment, every reasonable homeowner recognizes that eventually, just about every appliances and aspect of your home will need updating, repairing or replacing altogether. The roof of a home should last for decades, but you may be getting to the point where you need a new one. To help prepare you for this big project, consider the following clues that your old roof is on the way out and it’s time for roof installation. Your roof does an excellent job of withstanding the harsh elements of rain, snow and wind, but the shingles can take a beating. When you start noticing that the shingles are curling and buckling, it means your home is becoming vulnerable to these environmental elements. Like anything else, the older your roof gets, the worse it will perform. One of your roof’s jobs is to keep air inside from escaping and outside air from getting inside. However, when your heating and cooling bills starting going up, you know you may have a problem with your roof. 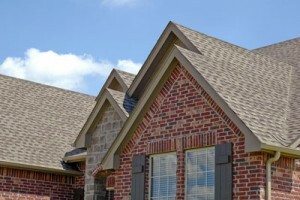 It’s time to call a roofing contractor for roof installation. You may not even have to notice any physical problems, but if your roof is more than 25 years old, it’s a good bet it doesn’t have much life left. You don’t want algae on your roof, so if you see it, you know it’s weakening your roof. It’s time to replace it if this is the case. Step out on your roof. If the surface gives way much, you know it’s starting to lose its strength. This is a good sign it’s dying. This may be the most obvious issue signifying there’s a problem. You need a new roof installation in hurry when water starting seeping through into your house.